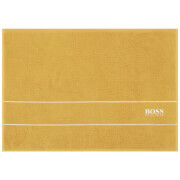 The pure cotton bath mat is part of the Hugo BOSS Plain collection and is designed in a block-coloured aesthetic. 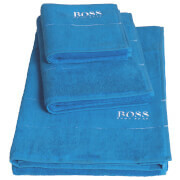 The mat is crafted from supple Egyptian cotton in a classic towelling fabric with a heavyweight 1000gsm thickness. Highly absorbent and luxurious in construction, a sumptuously soft and fluffy feel will be experienced underfoot as you step out of the bath or shower. 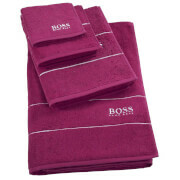 Finished with an embroidered ‘BOSS Hugo Boss’ logo bordered in a panel of white stripes and trimmed with woven edges.